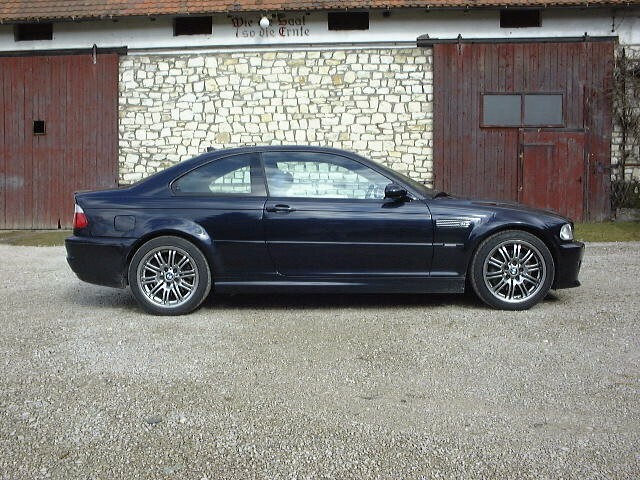 Before you begin to read my impressions I'd just like you all to know that I'm neither a 18 year old teeny boy nor am I a 80 year geezer but rather middle aged guy ready for something that I have dreamt for in a long time - driving an "M". I will not hide the fact that I'm biased towards BMW but I will try to be as objective as I can. 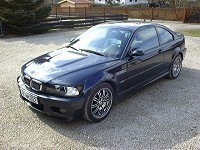 The purpose of having the test drive is to make my decision a bit easier if the M3 is what I really want. When the car was turned over to me on Friday (Feb. 23rd, 2001) I really didn't know what to expect. 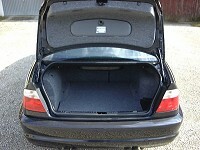 The salesman didn't feel it necessary to instruct me about the car whatsoever. He was right. 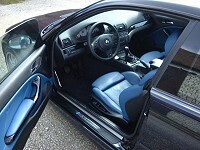 Everything on the M3 was where it is suppose to be. Click on the images to view full size pictures. I've always liked the "aggressive" look on the E30 M3's and I hated the looks on the E36 version. 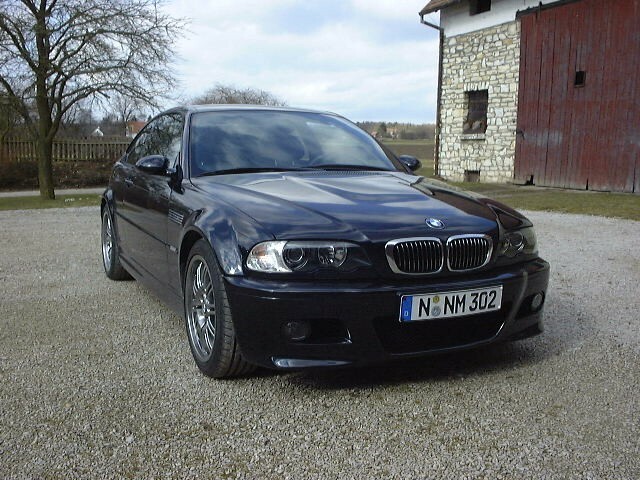 The new E46 has the sleekness look of a modern car and still looking aggressively with the huge intake. Clear lenses are standard. Anything else wouldn't fit the car. 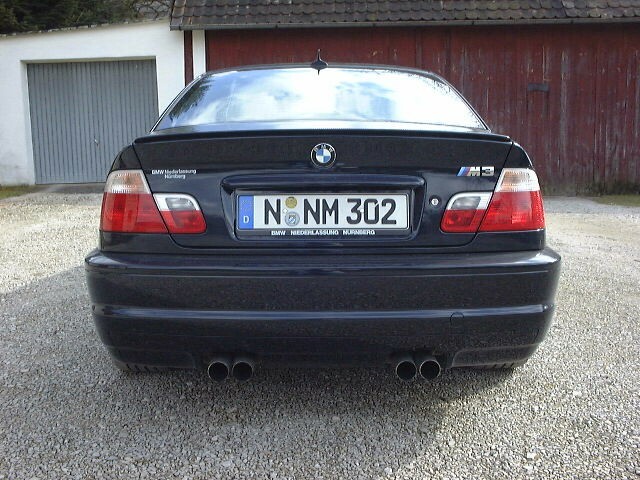 The E46 M3 is easier to differentiate from it's E36 M3 predecessor. 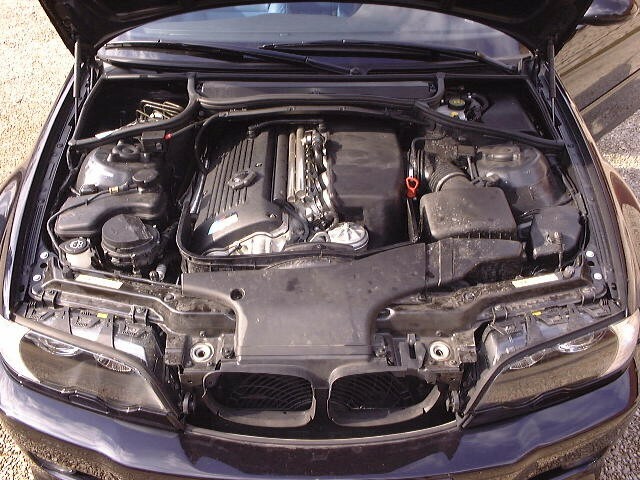 For one thing it has a small hump or "Power Dome" on the hood to make room for the engine and on the sides there are small ducts so the heat can escape to keep the electronics cool. In my opinion a very nice silhouette. 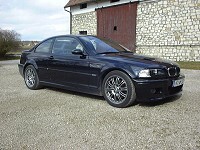 This M3 had 18'' wheels mounted. 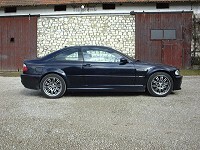 There are also 19" wheels available. I'm sure they would also look great. One very important fact is that this machine is not one soft rider! I had considered getting 19" wheels but quickly decided not to take them into consideration because the ride would just be to harsh for daily driving. I was somewhat skeptical about the looks of the little wing that is glued on the trunk. The huge options catalog also offers delivery without the wing. I just wonder if a "real" big wing would fit on the car without making it look like a "toy" racer? The fact is that the wing is needed for high speed cornering that are possible here in Germany or elsewhere ;-). The new M3 has an awesome sound. The sound inside at those speeds is a shear joy to listen to. The breaks are just the best I've driven so far and come very close to Porsche standard! 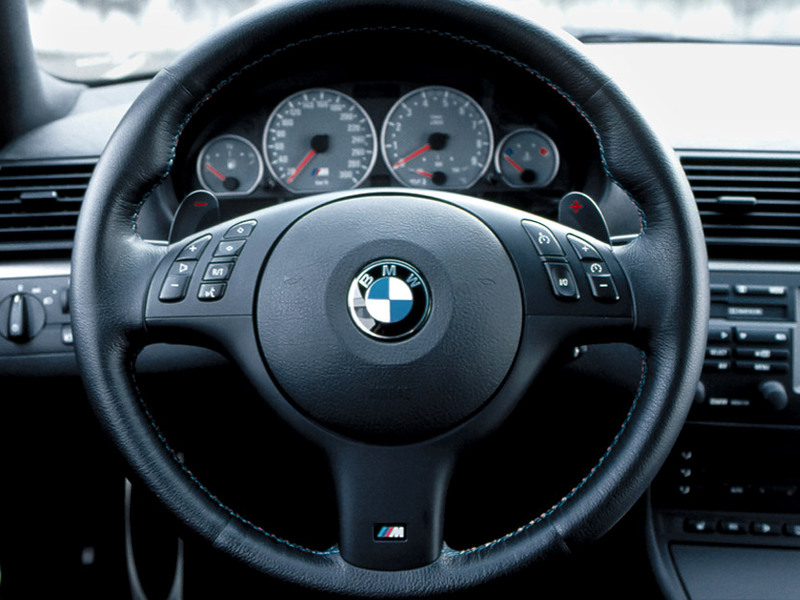 Thru the use of the "Sport" switch on the instrument panel, the M3 can be set to a more progressive map curve in terms of gas pedal and throttle travel. That little switch turns the engine into a beast! 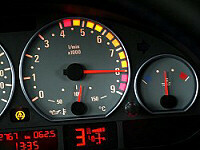 Every little movement of the throttle translates to instant response in engine revs! 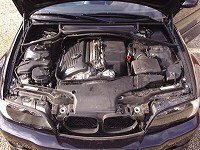 This is simply one freaking awesome engine!! 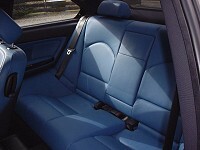 The seats are hugely supportive and covered in Nappa leather. I had no trouble adjusting my seating position as everything was adjustable. 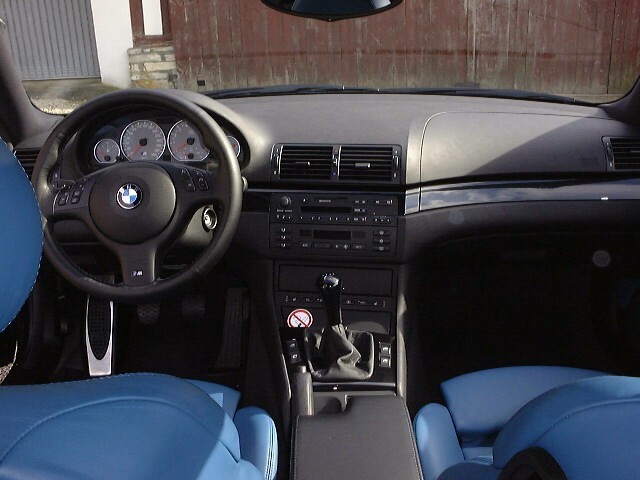 The steering wheel is movable in all directions and the sport seats including side paddings are adjustable. I had no complaints what so ever. The only thing is that I had to lower the seat all the way down so my hair wouldn't touch the ceiling. Since I'm not going to take the sunroof option, I'm hoping I'll have a bit more room. Another reason I didn't buy a E36 was that fact that I just hated the interior design. 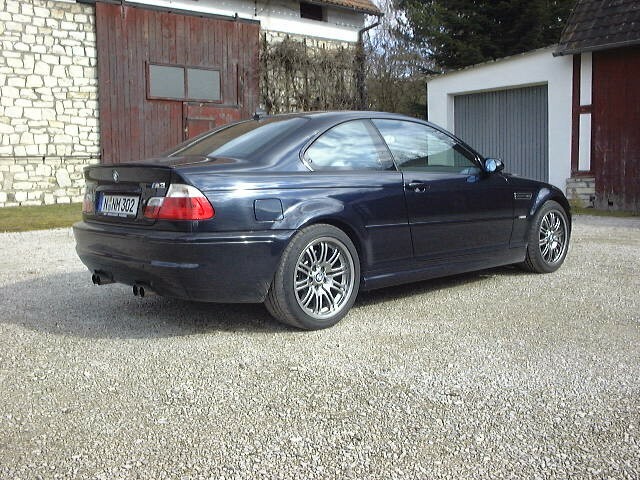 Thankfully BMW changed that and now I feel it's perfect. Everything is clearly placed, exactly where it should be. One of the BIG advantages is that this sports car can seat 4 (5 officially) people! 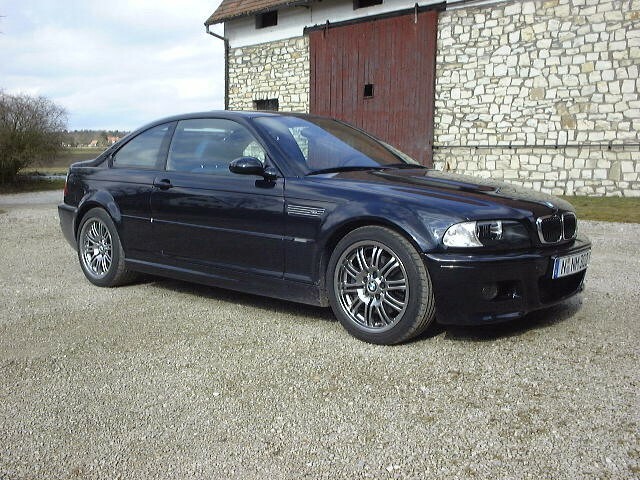 So, is this the best M3 BMW ever made? There is no doubt in my mind whatsoever. This M3 is unbeatable. The high torque but especially it's high revving engine is just breathtaking! 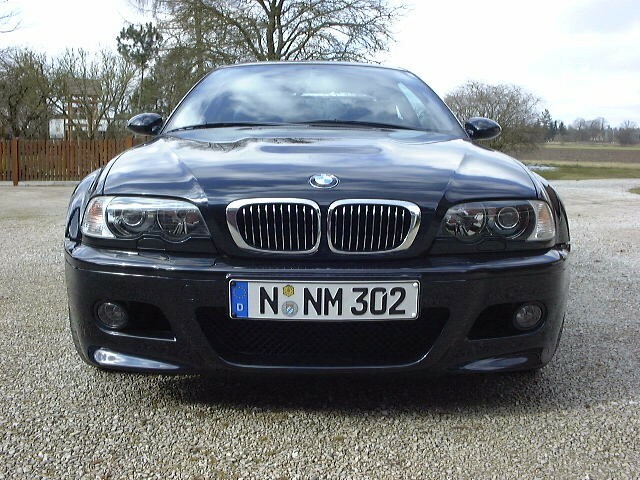 I just couldn't stop playing with the throttle thru out the 2 days I had this car. 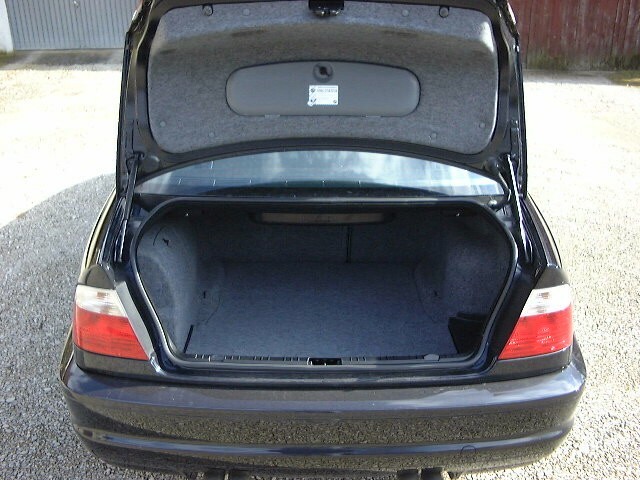 Some would say the 2001 M3 is a Porsche Carrera that seats 4 people and has a nice luggage compartment. I'd go one step further and state that this M3 is much more. It is a true modern sports car designed and built by BMW which makes it a unique peace of machinery. 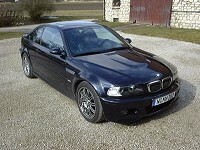 In fact, it is "The Ultimate Driving Machine"! I have been reading allot about the new sequential gearbox called SMG II. At first I wasn't considering this option because the first generation had many draw backs especially for city driving. But the reviews so far have been very positive. I'll be waiting to get a chance to drive SMG II before I decide on this option. Note: The clicks you hear have been added to show gear change! Currently 14 users are browsing this web site, 628060 having visited since June 8th, 1997.